This was this city's first pedestrian only street. It took 850,000 Jordanian dinars to construct the street. 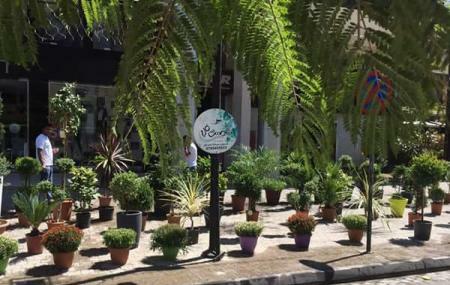 Beautifully constructed with trees, with colored tiles for paving, and an array of upscale shops on either side this may be quickly replacing Rainbow Street as the city's top shopping the destination. Most of the retail focus here is on clothes and there are a lot of high fashion labels without labels here. Best off all close spacing of the buildings on either side of the street means that it is shaded from the sun for a large part of the day. That makes it an excellent place to people-watch as well. There is a kiosk at one end of the street to provide services to visitors. How popular is Wakalat Street? People normally club together Habibah Sweets and Jordan Museum Of Popular Tradition while planning their visit to Wakalat Street.